I’m going to be honest, I’m still trying to process this movie. Thinking back on it is like remembering a weird dream that sort of made sense at the time but upon waking and going back over it in your mind, it just seems odder and odder. 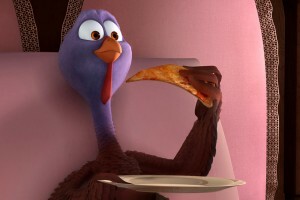 Farm turkey Reggie (voiced by Owen Wilson) is the outcast of his flock. Not only does he look different, he is much more intelligent than the chubby corn guzzlers content to live in ignorance while waiting for their next feed. The other turkeys are excited about being selected to go to “turkey paradise” every November, but Reggie realizes something’s up. When he tries to warn the others, they laugh him off. Until one day when they learn he was right all along. Instead of apologizing, the meanies cast him out and Reggie is dragged away, presumably to his cruel fate. But instead of going to the chopping block, Reggie is selected by the President of the United States, Not Bill Clinton (it totally is), to be the annual pardoned turkey after much insistence by the adorable and apparently narcoleptic First Daughter. Reggie becomes a celebrity and gets to move to Camp David and live out his days lying in bed and watching Spanish soaps. That is until one night when another turkey named Jake (Woody Harrelson) kidnaps Reggie and convinces him to join him on his mission to go back in time to 1621 and rewrite history, getting turkeys off the menu at the very first Thanksgiving. Conveniently, there just happens to be a top secret time machine right near Camp David! Jake knows this because a mysterious magical turkey, creatively named “The Great Turkey” appeared before him and told him all about it. The time machine is called S.T.E.V.E. (Space Time Exploration Vehicle Envoy) and, naturally, has the voice of George Takei. Everything should have George Takei’s voice. Get on that Apple! Jake and Reggie infiltrate the operation pretty easily and are soon jetting off to the Plymouth Colony circa right before the first Thanksgiving, just as planned! 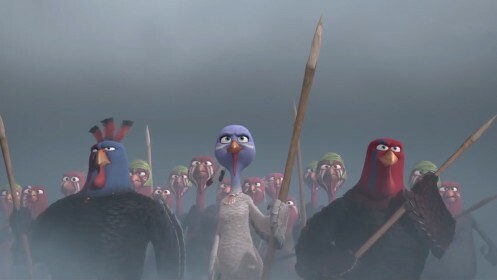 While there, they meet a tribe of native turkeys defending themselves from the settlers (do you see where this is going?) who are looking to make dinner out of them. Together they join forces and work together to save their feathered asses and the feathered asses of future generations from being fisted and stuffed with bread crumbs every fourth Thursday of November. 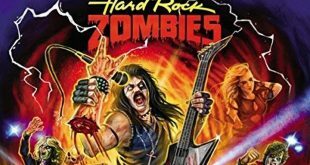 I should toast writer/director Jimmy Hayward and writers Scott Mosier, David I. Stern, and John J. Strauss for actually coming up with and getting this wackadoo movie made and released. 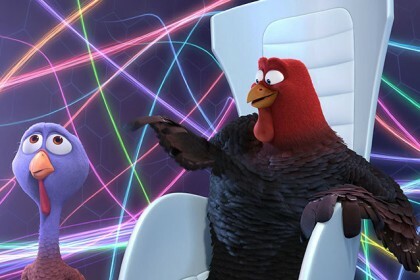 I’m willing to bet Free Birds came to be after a marijuana/pizza binge with the writers discussing how awesome an animated holiday movie that was equal parts Chicken Run, Avatar, Braveheart, and Bill and Ted’s Excellent Adventure would be. Just my guess. The animation, while no Pixar or Dreamworks, is crisp, cute, and entertaining enough. 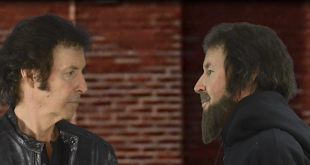 (I opted for the 2D version so I can’t say how much 3D would add to it.) The baby turkeys are pretty adorable, unless you are old enough to remember Furbies. In that case they’re a little terrifying. The film has garnered some mild controversy, being referred to as vegan propaganda to turn children everywhere into Tofurky eaters. As someone who hasn’t eaten Thanksgiving turkey in 18 years (though still not very fond of Tofurky), I totally support the anti-Butterball message. Anybody squawking about an animated children’s movie ruining Thanksgiving for kids and revealing the deep dark secret that the “beautiful” 20 pound golden-brown headless lump in the middle of the fancy table was once a living, breathing, shitting sentient being with a mother who spent their entire life living in a cramped cage before getting their throat slit, thrown into boiling water, plucked, and having their guts ripped out, well, just get the hell over it, because guess what? That’s the truth. But don’t worry, because by the time Thanksgiving rolls around, kids probably won’t remember this movie enough to make the correlation anyway. The cast is game (I didn’t do that on purpose) and the top names do a great job bringing the birds to life. Owen Wilson’s voice was made for characters like Reggie. A toast to Woody Harrelson as well, who sounds so un-Woody Harrelson, I wouldn’t have even realized he did the voice of Jake if I didn’t know. It was also nice to see that the smartest, bravest character is female (obligatory love interest, lazy-eyed Jenny) but then it’s Amy Poehler so it wouldn’t have made sense any other way. Needless to say, she’s great too. 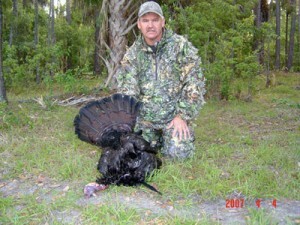 The solution the film provides for replacing turkey as the main course on Thanksgiving? Pizza. Specifically Chuck E. Cheese pizza. After Reggie is pardoned and goes to live with Not Bill Clinton’s narcoleptic daughter at Camp David he discovers the joys of telenovelas, fuzzy slippers, and pizza delivery. I’m assuming the reason for this is that the producers originally reached out to nationwide pizza chains that actually deliver after the movie was made (as evidenced by half of the pizza boxes being generic “PIZZA” boxes) but couldn’t get Dominos or Pizza Hut as a sponsor and finally managed to secure Chuck E. Cheese, who thought it would be a great match since the movie is about talking turkeys and their mascot is a talking rat. I hate myself for putting so much thought into this. Anyway, the movie is pretty much a giant damn commercial for Chuck E. Cheese the same way Mac and Me was a giant damn commercial for McDonalds. Also, back to the people moaning about this movie promoting a healthy vegan lifestyle, well they can just shut up because Chuck E. Cheese pizza is neither vegan nor healthy. 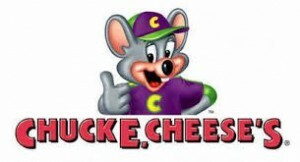 And most vegetarians that eat dairy probably wouldn’t eat Chuck E. Cheese pizza anyway because it’s crap. 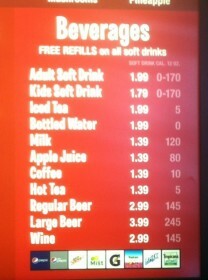 But on the plus side, they do serve beer and wine! Speaking of mixed messages, now it’s time to address the face-painted and feather-wearing (not their own turkey feathers, but colorful feathers they wear as decoration) 1621 turkeys being hunted by the Pilgrims that appear to be a allegorical stand-in for Native Americans. But then there are actual human Native Americans there too. My head hurts. And then there’s the time travel thing which, the less you think about it, the better. Seriously, don’t. This movie is about talking turkeys that time-travel inside George Takei, now is not the time to be concerned about paradoxes! Dammit Keanu, stop thinking! You’re gonna hurt yourself! 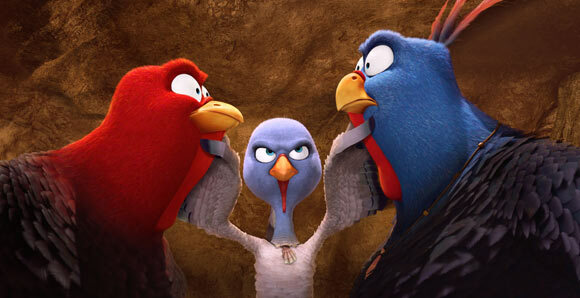 I’m really still trying to figure out how I feel about Free Birds. It’s absolutely ridiculous–probably the second most ridiculous animated movie I’ve ever seen. (The first is Food Fight! Please take this as a warning if you want to go down that rabbit hole.) 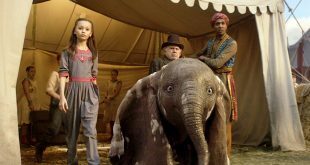 But it’s also never boring, strangely mesmerizing, and there are even a few laughs (that animated movie humor designed to go over the little ones’ heads). For kids, it’s fine and pretty harmless, though a few of the battle scenes are a bit intense (hence the PG rating). I doubt this will become a Thanksgiving classic, but it serves as a filler to bridge the gap until the next big Pixar or Dreamworks release. Take a drink: at every bird pun. Take a drink: whenever Jenny’s eye goes wonky. Take a drink: at every WTF moment you experience. Take a drink: every time Not Bill Clinton’s daughter falls asleep. Take a drink: every time the Furby babies are onscreen. Take a shot: at the obligatory “Angry Birds” reference.